Sometimes you want to sit down and play a board game, but you need the instructions to refresh your memory. If those instructions are missing, however, you may opt for a different form of entertainment. Save family game night from being abandoned by printing out the instructions for your favorite board games. Kids' board games are always the first to lose their instructions. Always make sure you have an extra copy for some of these popular games on hand so that the game goes smoothly and everyone knows how to play by the rules. University Games has instructions for popular board games such as 20 Questions, The 39 Clues, The Cat in the Hat Game and Where in the World is Carmen Sandiego? Mattel also makes many popular kids games. Look for instructions to games such as Angry Birds: Knock on Wood, Apples to Apples Jr., Blokus, Whac-A-Mole and most Disney, American Girl, Harry Potter and Barbie games. When you lose the instructions to these word games, you cannot show off your vocabulary prowess to your friends and family. Without the instructions for your favorite board games, it's hard to know how to get from point A to point B. Whether its how much money each player gets at the start of a game of Monopoly or how to get your pieces out of start during a game of Sorry, you need the instructions for clarification. These other popular board games have printable instructions online as well. You may know your trivia, but it won't do you any good if you don't have the instructions for these popular trivia games. Instructions for card games often come with unique variations on how to play the game in addition to the traditional rules. Print out a copy and fold it in quarters so it will fit right into the box for the cards. Mattel offers replacement instructions for Uno in English and Spanish, plus instructions for some of the variations on the classic Uno game. You will also find instructions for the popular game Skip-Bo. Classic Games and Puzzles provides printable instructions for many traditional card games such as Old Maid, War and Crazy Eights. If your favorite game is not listed, check out the publisher's website to see if rules for the game are featured online. Most games are from big companies like Hasbro or Avalon Hill. 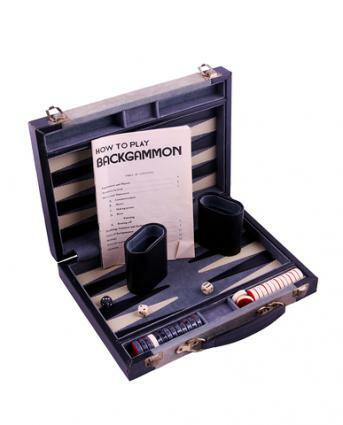 Usually in their game sections, under downloads, you will be able to locate the printable instructions for board games. Some small game companies may also have instructions available for you to download and print. The best course of action is to flip your game box over and look near the UPC for the website of the game's publisher. Point your browser to the site and look around for a download section. If there is none, locate the contact page, look for someone who is in charge of sales, and send an e-mail inquiry about printable instructions. Many times they will e-mail you a copy. Older games that have ceased production will be a lot harder to find. In some instances, these games may be known by a new name like in the case of Draughts (now known as Checkers), and if you can find that name, you could find instructions on the Internet. For those games that do not turn up under new names, try Board Game Geek. This website has many instructions for old, defunct games from 5 Alive, Acquire, and Cacho to games still in production like Clue, Risk and Phase 10. Go through your collection of board games today and make sure you have all of the instructions. Print out any missing instructions so that when it comes time to play the game, you'll be ready. Instead of just sticking the rules in the box, tape them to the lid to make sure they are always accessible or store the instructions for all of your games on your shelf in a special binder to keep them in one place.